We are experienced in landscape design with many display homes featuring our designs. We can assist with plant and mulch selection, edging style and location, turf and garden features to make your new garden something to be proud of and well designed. We can build you a whole new yard! Whether you are looking for a simple garden bed and turf or an exotic outdoor entertaining space that makes it feel like you are on holidays. 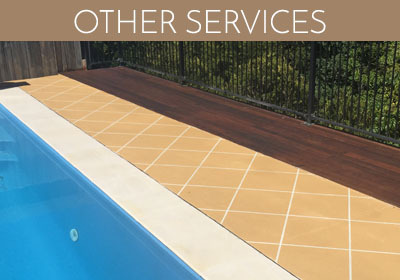 From small to large jobs, we cater for everyone. We can install a wide variety of fence types subject to your needs and budget. 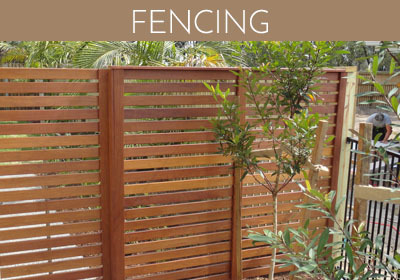 From timber, colorbond and pool style fencing to feature fencing. 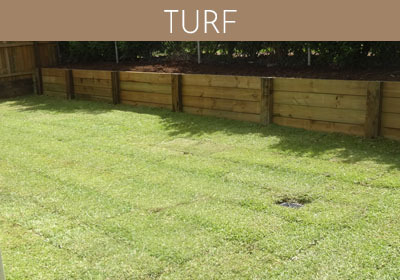 Do you have trouble growing turf in certain areas of your yard or want the best looking lawn in the street or just somewhere for the kids to play? We can help by preparing your site, laying the new turf and providing you with instructions on how to maintain it. The ultimate in low maintenance. 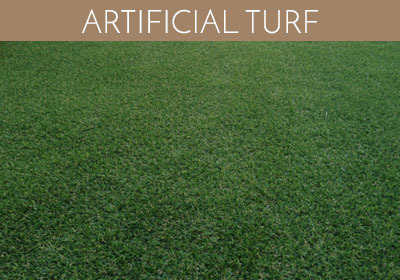 We will prepare your site and lay the artificial turf – never will you have to mow again! We are specialists in installing manual and automatic irrigation systems. Your very own irrigation system will ensure your lawn and gardens will present immaculately. Not all land was created level and that is why we have retaining walls. 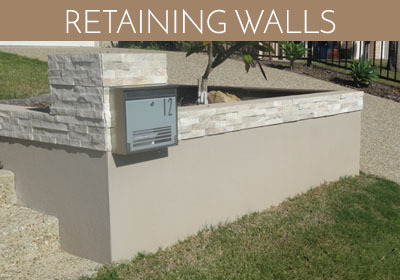 We can install timber & concrete sleepers, rock (all types) and Link block retaining walls that can become a feature of your landscaping and create more usable space in your yard. Driveways, paths and garden shed slabs are our main concreting jobs. 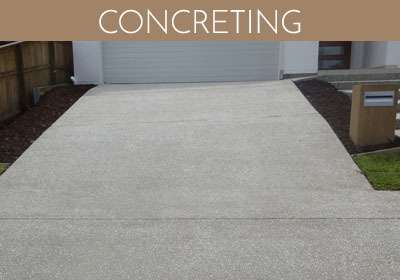 We can lay exposed aggregate or plain concrete and we offer custom options. 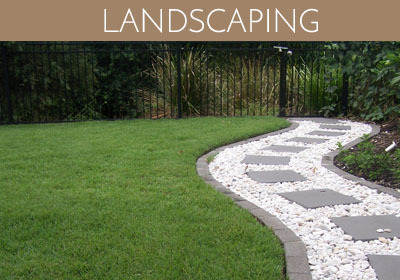 Over our 20 years in the industry we have pretty much done anything you can that is in a yard! Installing letterboxes and clotheslines, building sand pits, mowing and watering lawns; if you have any special requirements that we have not mentioned on our website contact us to discuss.